I consider shopping more of a hobby. Like collecting stamps or coins, I collect clothes. Brick and mortar, online, thrift, doesn’t matter I will shop it. Now consider every time you shopped nothing fit right, no matter what. That sounds like absolute torment. But that is the way it was for so many women. Mr. Saul Skurow of Cincinnati, Ohio had been in the fashion business all his life and decided to take on the challenge of easing this pain. He understood that there were older women with petite figures who didn’t want to dress like teenagers, because at that time there wasn’t much else available to them. 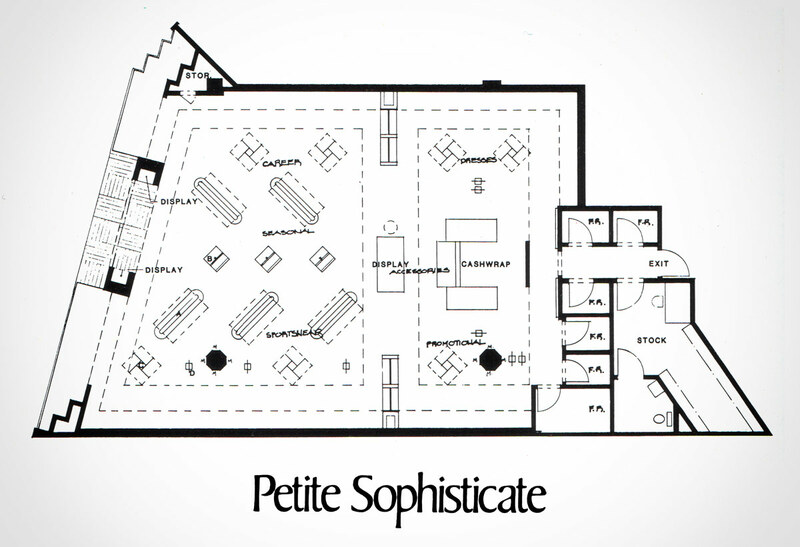 His solution was Petite Sophisticate. 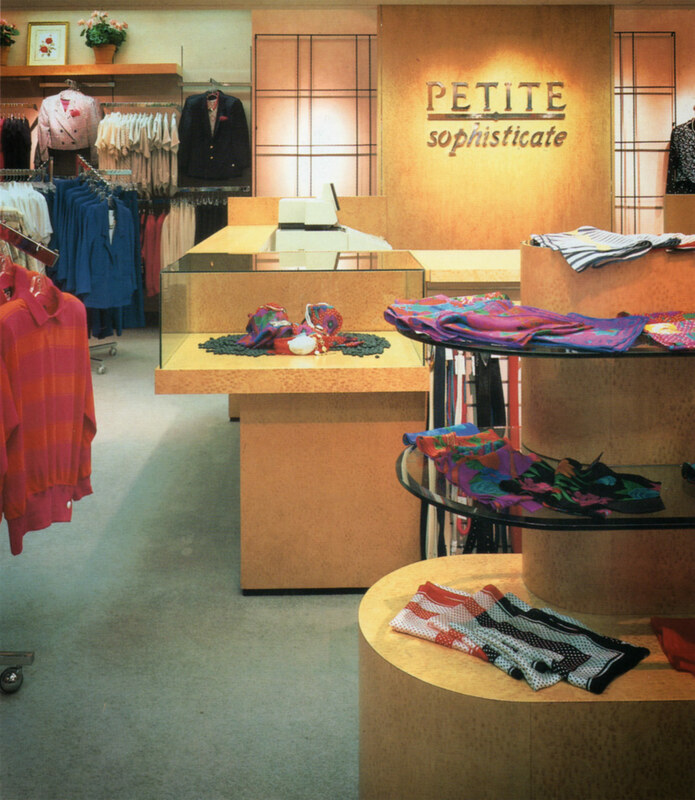 A retail store exclusively for petite women. 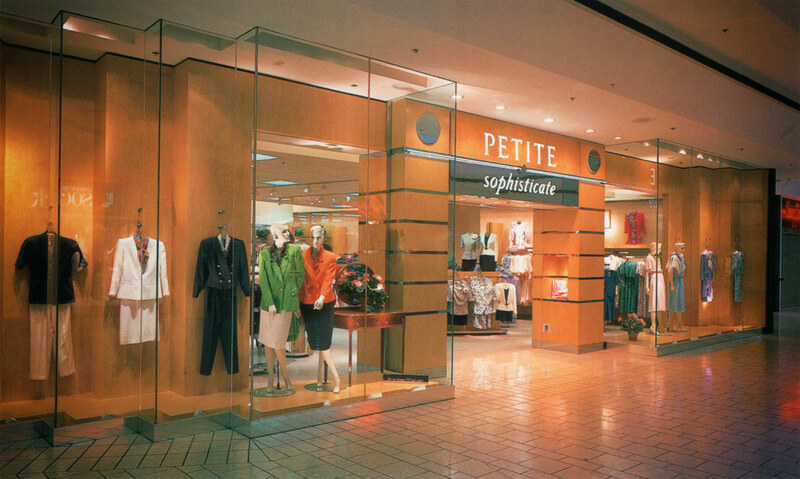 Petite Sophisticate was a place women could go to not only get a properly fitted outfit, but also a fashionable one. Suited for their age, their career, whatever the occasion called for. Mr. Skurow worked directly with manufacturers to create pieces for their own label. But they also carried brand names such as Liz Claiborne and Evan Picone. The store itself let it’s merchandise be the main color and decoration. 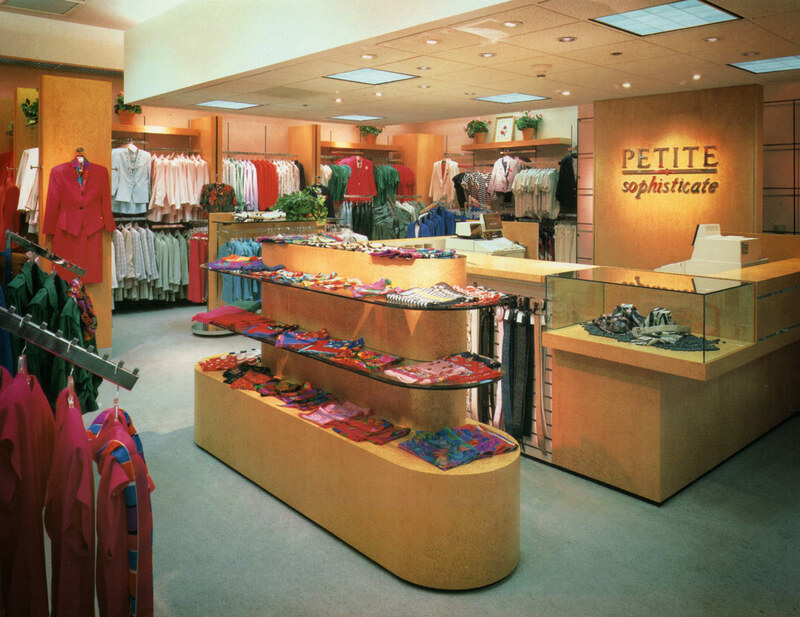 With light wood fixtures and peach colored walls, the store was warm and inviting. Upscale without being intimidating. They even designed a custom fixture that had more capacity then your standard rounder, which allowed for much more display opportunities. 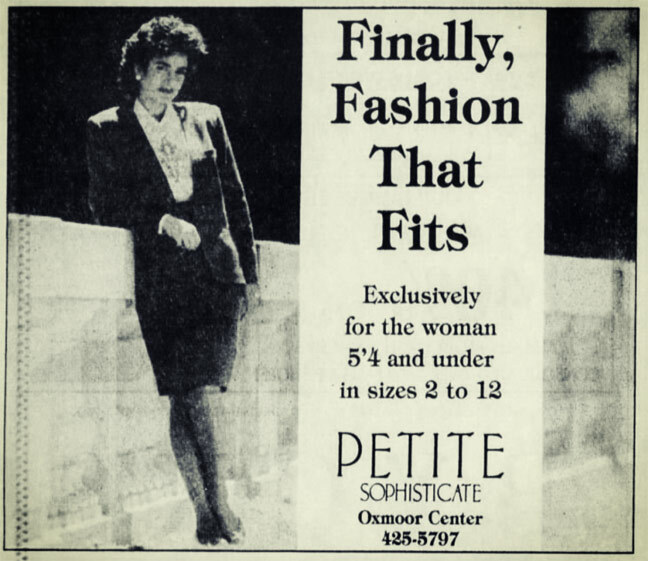 For me, Petite Sophisticate’s major contribution to the petite woman came In 1992 when they started carrying a line of pantyhose for petites under their label. As a lady I can fully understand how this one item could make a world of difference. And I am positive this store is still missed by many.